Sealed tight. 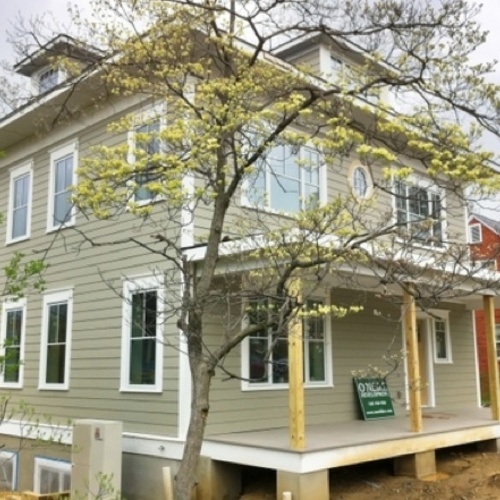 Builder Matthew Beaton and his family moved into their 3,000-sq.-ft. home in September. 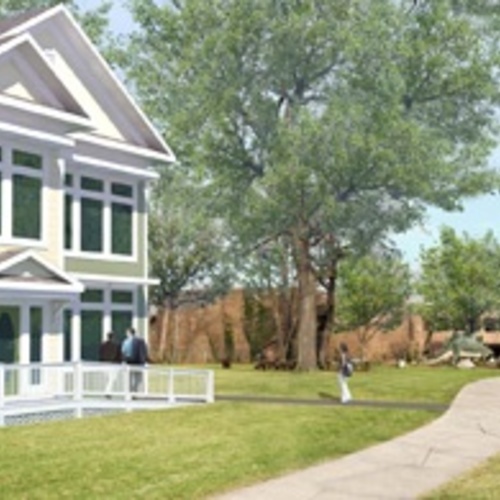 The house was certified to the Passivhaus standard on July 13. 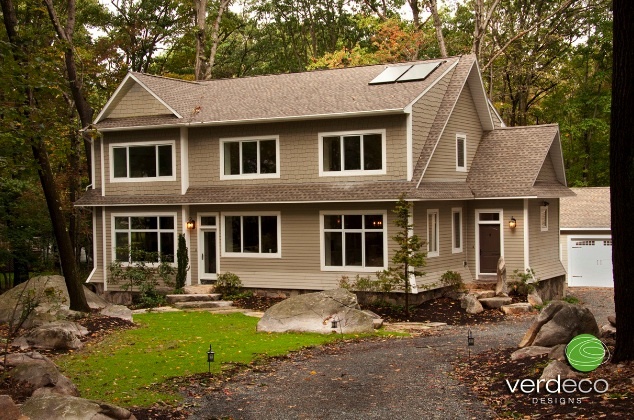 Image Credit: Verdeco Designs, Beaton Construction, and DEAP Energy Group The house includes a solar hot water system with an 80-gal. storage tank. 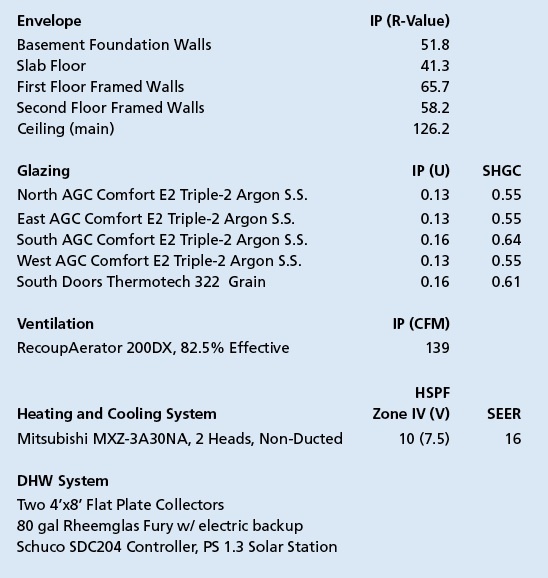 The building’s airtightness – at 0.49 air changes per hour at 50 Pascals pressure difference – was well within the Passivhaus requirement. Though it wasn’t specified in the design, an unusual amount of cellulose insulation went into the attic, bringing the main ceiling to R-126.2. Exterior walls were insulated to R-65.7 on the first floor, R-58.2 on the second. 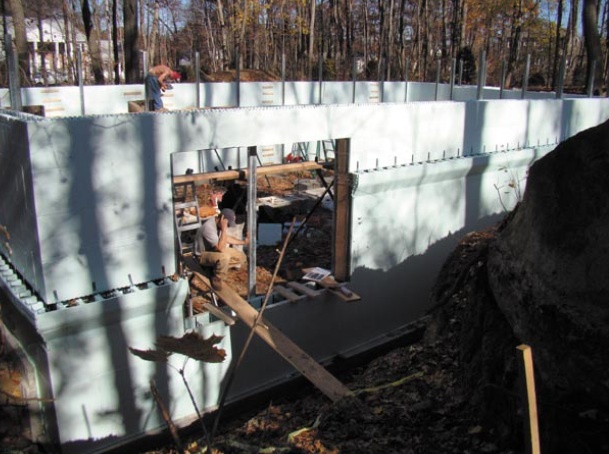 Basement foundation walls were insulated to R-51.8, the slab floor to R-41.3. 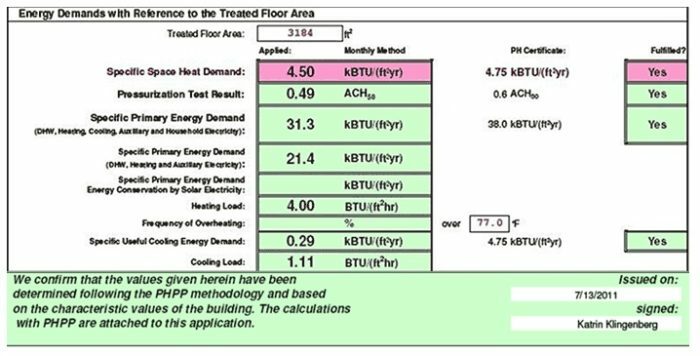 As Paul Panish explained in a GBA post about builder Matthew Beaton’s home in Shrewsbury, Massachusetts, Beaton wasn’t aware of the Passivhaus standard when he first conceived of the project. 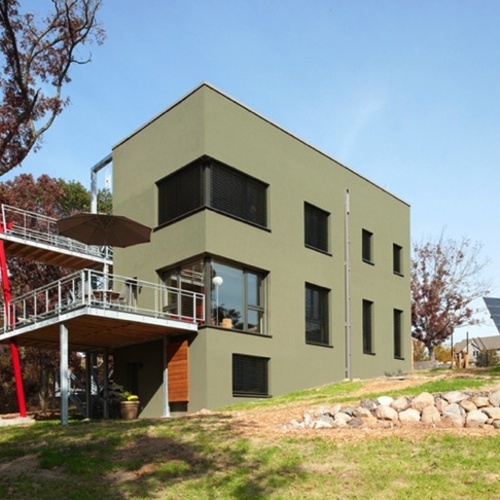 By the time construction had started, though, he had became fully committed to the concept, even though there wasn’t time for a full-fledged redesign and Passivhaus modeling. 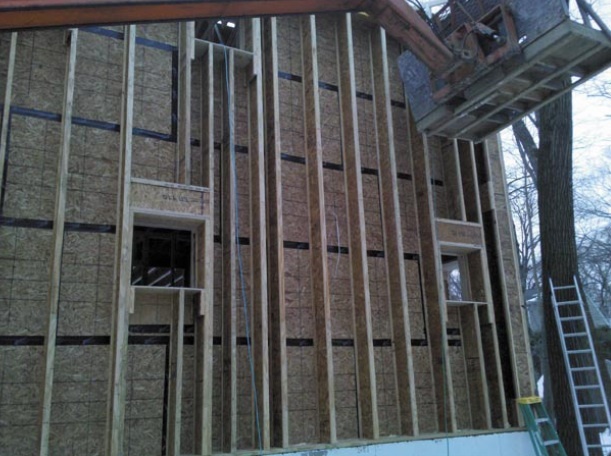 The results include a slab floor insulated to R-41.3, basement foundation walls insulated to R-51.8, first-floor exterior walls to R-65.7, second-floor walls to R-58.2, and the main ceiling to R-126.2. Most of the above-grade insulation was cellulose (Beaton had plenty of it on hand, so he decided to use it where he could: there are 3 ft. of it in the attic). The home’s air leakage rate is 0.44 air changes per hour at 50 Pascals. Mechanical equipment includes an UltimateAir RecoupAerator 200DX energy-recovery ventilator, a Mitsubishi MXZ-3A30NA minisplit air-source heat pump heating system, and a solar hot water system. Beaton and his family have been living in the house since September. 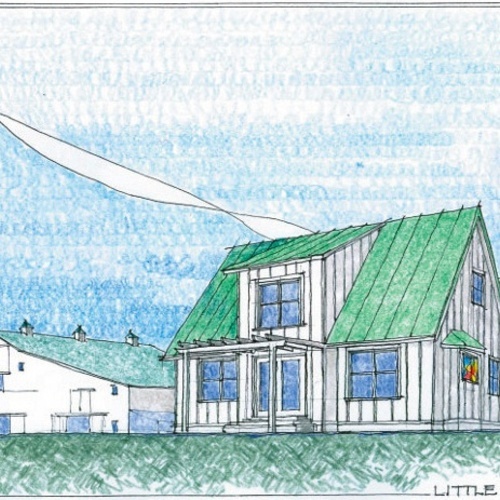 It was certified by Passive House Institute U.S. on July 13, becoming the first single-family Passivhaus dwelling in the state, Beaton says. Aside from shifting the performance target to Passivhaus, however, Beaton had from the beginning approached the project with a number of conservation goals, including use of reclaimed foam board, lumber cut from the site, and stones excavated from the site for use on the patio and as wall veneer. 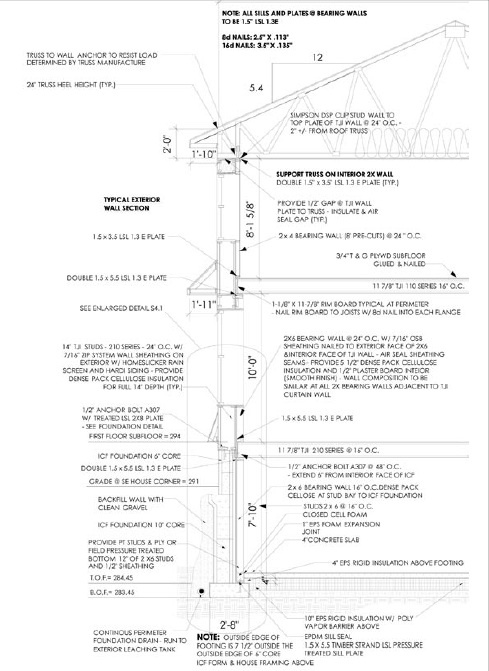 UPDATED on May 1, 2011, to change the description of the exterior-wall insulation layers outside the SIPs to EPS (expanded polystyrene) from XPS (extruded polystyrene).